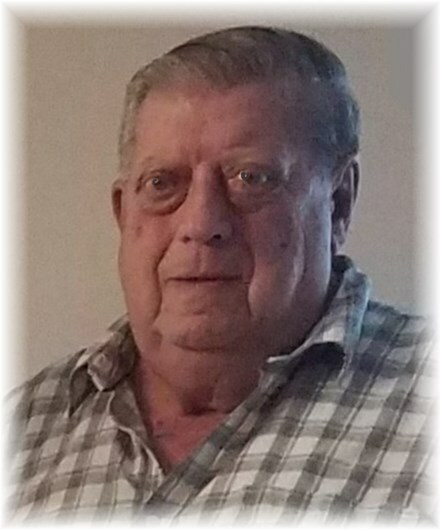 Dwayne Maus of Osakis passed away on Sunday, January 13, 2019 at the Sanford Hospital in Fargo, ND at the age of 81 years. Dwayne Kenneth Maus was born on October 20, 1937 to Jess and Norma (Harth) Maus in West Union Township, Todd County, MN. He attended Osakis High School and on December 7, 1954, Dwayne married the love of his life, Faye Kasmaker at the Osakis Lutheran Church. After living in Osakis for a number of years, they settled on a hobby farm outside of Osakis. Dwayne initially worked for Pollard’s Mill and Stoeckel’s Hatchery in Osakis. He was then hired at National Tea, a grocery store. When an opportunity arose to clerk at the Osakis Post Office, Dwayne was hired. He was later promoted to Postmaster, retiring in 1992 after more than thirty dedicated years. During the early ‘80’s, Dwayne and Faye were also owners of the Tip Top Dairy Bar in Osakis. Dwayne was a member of the Osakis Lutheran Church and served on the church council. He also belonged to the Osakis Country Club and enjoyed playing golf. Living in the country brought him joy, and Dwayne loved to be outdoors. He raised and trained his hunting dogs and hunted grouse, fox and deer. He loved animals and over the years raised cows, sheep, goats and had horses. Exotic birds also fascinated him and gave him an appreciation for all of God’s creatures. Following his children’s and grandchildren’s sporting events and cheering on the Vikings made him happy as did getting together with family and friends for card games and socializing. He loved his family and was so proud of all of their accomplishments. He was a man of faith and a kind and caring husband, father and grandpa. Dwayne is survived by his loving wife of 64 years, Faye Maus of Osakis; children, Sherry (Mike) Meyer of Lenexa, KS, Debra (Shawn) Farsdale of Fargo, Jeff (Lori) Maus of Buffalo and Lisa Olson of Osakis; 8 grandchildren; 4 great grandchildren; a sister, Marlys Anderson of Port Charlotte, FL and a brother, Darwin (Carol) Maus of Osakis; many nieces and nephews. He is preceded in death by his parents, his sister and niece, Phyllis and Karen Christianson and a nephew, Shannon Maus. Funeral services for Dwayne will be Friday, January 18, 2018 at 11:00 am at the Osakis Lutheran Church with Rev. Rich Fitzer officiating, with a gathering time beginning at 9:30 at the church. Interment is at the East Evergreen Cemetery in Osakis, MN with honorary pallbearers, Jolie Fiedler, Amanda Maus, Shea Olson, Jessica Williams, Merle Harth, Curt Robinson, Robert Johnson and Ron Eldred. Active bearers are his six grandsons, Ryan and Brent Williams, Mike Fiedler, Alex and Andrew Meyer and Benjamin Maus.